While slum rehabilitation is a major component of the Housing for All mission of the Central government, it accounts for only a 2 per cent share among all the verticals of the scheme. NEW DELHI: The Centre’s efforts to make cities slum-free have not yielded the desired results. While slum rehabilitation is a major component of the Housing for All mission of the Central government, it accounts for only a 2 per cent share among all the verticals of the scheme. While the number of people living in slums is more than 1.3 crore, only a few thousand houses have been built. The Ministry of Housing has now asked states for proposals for housing projects for rehabilitation of slum dwellers under the Pradhan Mantri Awas Yojana. In Situ Slum Rehabilitation (ISSR) using land for providing houses to slum dwellers is an important component of the Pradhan Mantri Awas Yojana (Urban) mission, which facilitates beautification of cities by making them slum-free. A recent analysis by the Ministry of Housing revealed the poor performance of the slum rehabilitation scheme. Out of 3,102 projects approved under the mission, only 83 involving 60,305 houses in six states fall under ISSR — a 2 per cent share of approvals in all verticals. Officials said work had been stopped on 50 per cent of the houses approved under ISSR. 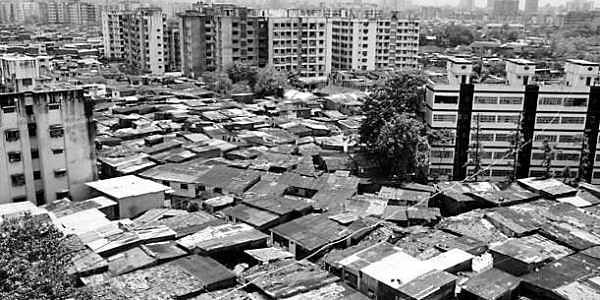 As per Census 2011, about 1.392 crore households live in 33,510 slums across the country. As the target group of Pradhan Mantri Awas Yojana (U) is essentially the urban poor, slums under this mission are specifically addressed under ISSR through using land as a resource along with Central assistance of `1 lakh per house. Officials said that the ISSR vertical’s challenges are land issues, financing models, selection of private developer, beneficiary participation and policy concerns of states. Officials said states need to implement land reforms to ensure that beneficiaries have valid land documents, and they should put in place a single-window time-bound clearance system for layout approvals and building permissions.